Sonja Kangas (ed. )Digital media are central in youngsters’ lives, both time-wise and culturally – creating meanings, strengthening relationships and pondering values. Digital activities are gaining a bigger share of youths’ everyday life. The Internet provides several ways for them to express themselves, find friends or dating partners and likeminded people. It is a mass medium for everyone, providing the possibility of becoming a celebrity, being politically active, joining international networks, watching television, chatting with friends or just spending time online. It is a channel for expressing where I am, what I plan to do and what type of information or contacts I am looking for. Ten years ago young communication acrobatics in Japan, South Korea and Finland were sovereign, fearless and experimental pioneers of mobile phones and the Internet. Currently youngster’s use of digital media has globally been described as snack size or remix culture in that they combine pieces from here and there, follow several information and communication channels simultaneously and utilize social networks. This book will provide an overview of the online life and values of 15–25 year olds in countries that were pioneers of digital services at the end of 1990s and describe the change that has happened within the past 10 years. 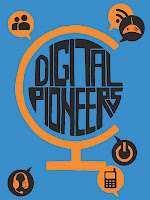 Digital Pioneers looks at social networking among the youngsters, covering a wide spectrum of topics from media use, social networking, trust, and friendships to motivational factors. The book also looks at the development of so-called gaming lifestyle. Japan, South Korea and Finland are no longer far ahead of the rest of the world. But do these pioneer countries of the 1990s still have some special qualities that can generate novel digital cultures in the 21st century? Where will the next generation of online brands develop? 2011. Finnish Youth Research Society, internet publications 49. ISBN 978-952-5464-99-3 (PDF). ISSN-L 1799-9219. ISSN 1799-9219.